I should have titled this post, "PMS Cookies". Because really, that's what got these things made in the first place. The stupidest mood swings known to man. I'm talking, full blown sobs and tears because your husband got in your freshly made (and perfectly made at that) bed and kicked his feet in such a way that ALL the blankets and sheets got messed up and untucked in a matter of milli-seconds. The need (and I do mean, need...this is life or death people) to continuously eat all day long, making sure to switch from salty to sweet, again and again. Sometimes this doesn't cut it, so the need is to make ridiculous salty-sweet combinations and eat at once. Did I say, "all day long"? Don't try to stop us. Back to the cookies. These were born because I had just finished sobbing like a two year old and realized I hadn't fulfilled my PMS daily caloric quota of a kwazillion calories. I needed salty AND sweet...like, yesterday...and also needed to make sure it included chocolate, and cookies. I very well could have also drizzled on salted caramel sauce, mile high piles of whipped cream, chocolate cake pieces, and a sprinkling of sea salt...but I held myself back. So while I was chomping on a bag of dark chocolate covered pretzels, I thought, "smash these into chocolate chip cookies, now!" And so I did. 1. Preheat oven to 350°F. Line two sheet pans with parchment paper or, if you have, silpats. 2. In your stand mixer, fitted with the paddle attachment, beat together the butter and sugars until light in color and fluffy- 3-4 minutes on medium high. 3. While that is creaming, in a separate bowl, whisk together your flour, baking powder, baking soda, and sea salt. Set aside. 4. Turn mixer off and scrape down sides and bottom of bowl. Beat in your egg with mixer on medium. Once fully incorporated, stop mixer and scrape down sides again. Turn mixer back on and add your vanilla extract. 5. Turn mixer to low and add your flour mix. 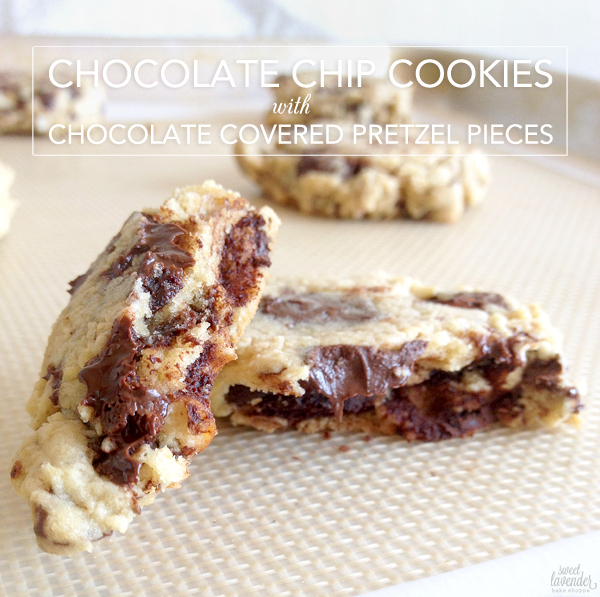 Allow to mix together until JUST combined and then add your chocolate chips and pretzel pieces. Mix again, until JUST combined. Stop mixer. 6. With a small ice cream scoop or spoon, scoop out tablespoon sized dollops of dough and place 1 1/2" apart on your baking sheets. Gently press down each ball with the back of a spoon or your fingers to flatten out. 7. Bake 12-14 minutes on the middle rack of your oven, making sure to turn pans half way through baking to ensure even browning. 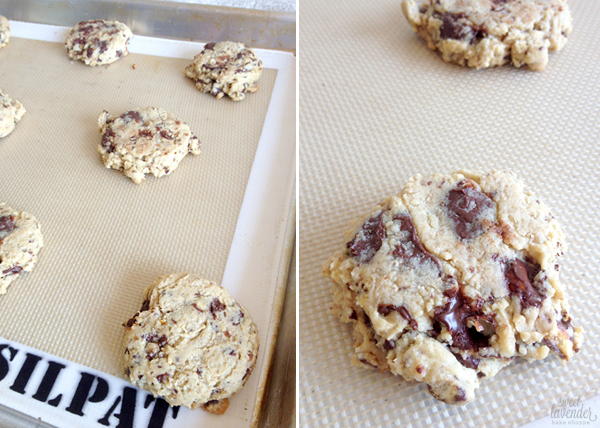 Cookies are done when they have spread a tiny bit and are golden brown around the edges. Remove pans from oven and allow to cool 5 minutes before moving them to a rack to cool completely. Enjoy! By the way, make sure you head on over to Elah Tree and check out our little "Advice Column"! These look so good, I must try them! And I'm glad to hear I'm not the only crazed PMS lady. Your top 2 are my top 2. I've had times where I wonder what is wrong with me and then I remember, oh PMS. And the amount of food I take in could feed four other people including myself. 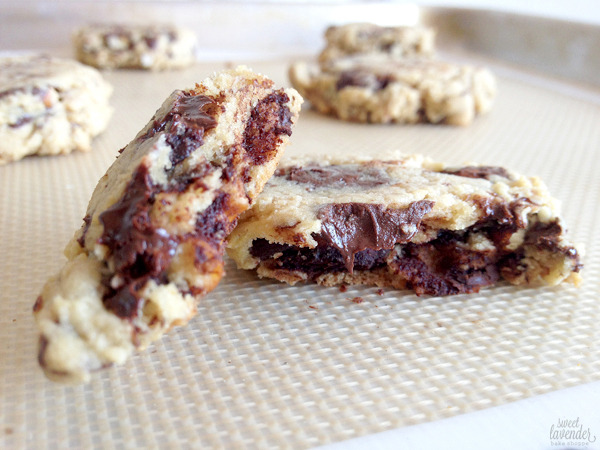 Um PMS cookies...yes. Seriously, this made me laugh out loud! So glad I'm not the only one who goes crazy and eats a ridiculous amount of food. Haha! Also, these cookies look delicious! !